candidates in states where inconclusive election that was announced by INEC, and would hold rerun elections this Saturday that President Muhammadu Buhari would not manipulate the Independent National Electoral Commission (INEC) to favour anyone. INEC leadership are fully in charge of electoral matters in the country, not President Buhari, who would neither interfere with the process nor change results in favour of the ruling APC. Meanwhile, INEC has summoned an emergency meeting with the leadership of all security agencies to ensure peaceful conduct of the forthcoming supplementary elections scheduled for March 23. In states including Rivers and Bayelsa, the opposition PDP had accused the security agencies, particularly the army, of colluding with the APC to harass voters. On Sunday, the Chief Press Secretary to the chairman of INEC, Rotimi Oyekanmi, confirmed to The Punch that the commission would be meeting heads of security agencies on Tuesday. He was responding to enquiries on the measures being put in place by INEC to ensure that militarisation would not be allowed in the supplementary elections as it was the case in Osun and Ekiti states where voters were reportedly intimidated and not allowed to come out and vote. “The commission is meeting with security agencies on Tuesday (tomorrow) to discuss this and other related matters. It is better to wait for the outcome of the meeting,” Oyekanmi stated but gave no further details. Meanwhile, ahead of Saturday’s supplementary election in Kano State, the state government has started projects including road rehabilitation, construction of boreholes and drainages as well as refuse collection in Gama ward of the Nasarawa Local Government Area of the state. The election in Gama ward was cancelled following a crisis at the Nasarawa Local Government Area collation centre. A resident of the ward, Mallam Abdullahi Gama ,who operates a commercial tricycle, said, “I was going home on Friday when I saw some of these projects especially the road. It was learnt that the projects being embarked upon were being funded from the state and local governments joint account where N223.5m was withdrawn from last week. In his reaction, the PDP governorship candidate in Kano, Kabir Yusuf, described the government’s action as laughable. According to a statement by Yusuf’s spokesman, Sanusi Tofa, the ongoing road construction work at Gama ward was an act of deception. 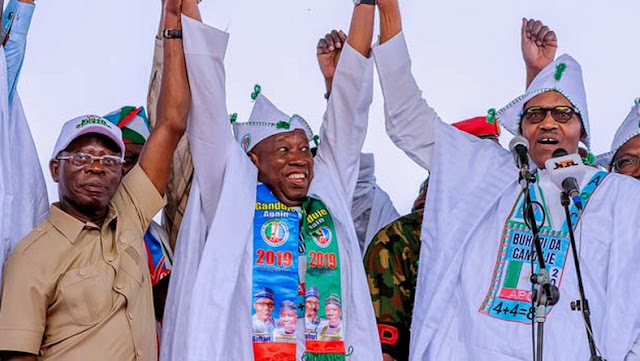 Also, the Kano State chairman of the PDP, Rabiu Bichi, has faulted the withdrawal of N223m, saying it is meant to induce voters ahead of the crucial rerun. 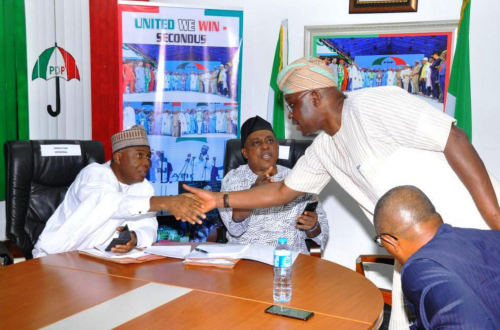 He told The Punch, in a telephone interview that, “Everybody knows our candidate has won this election but the outgoing APC administration is desperate to cling to power and has withdrawn this sum to induce voters.